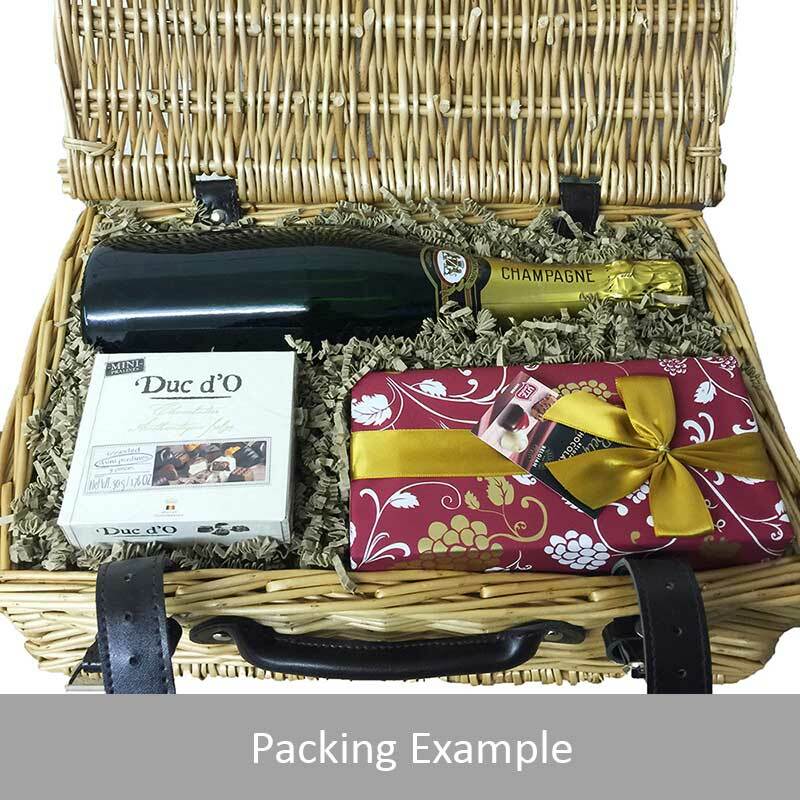 A delightful gift of Glenfiddich 12 Year Old Whisky along with a box of Hamlet Belgian Chocolate Truffles (35g) and Belgid'Or Fine Belgin Chocolates (175g) all packed in a wicker hamper with leather straps lined with wood wool. All gifts come with a gift card with a message of your choice. 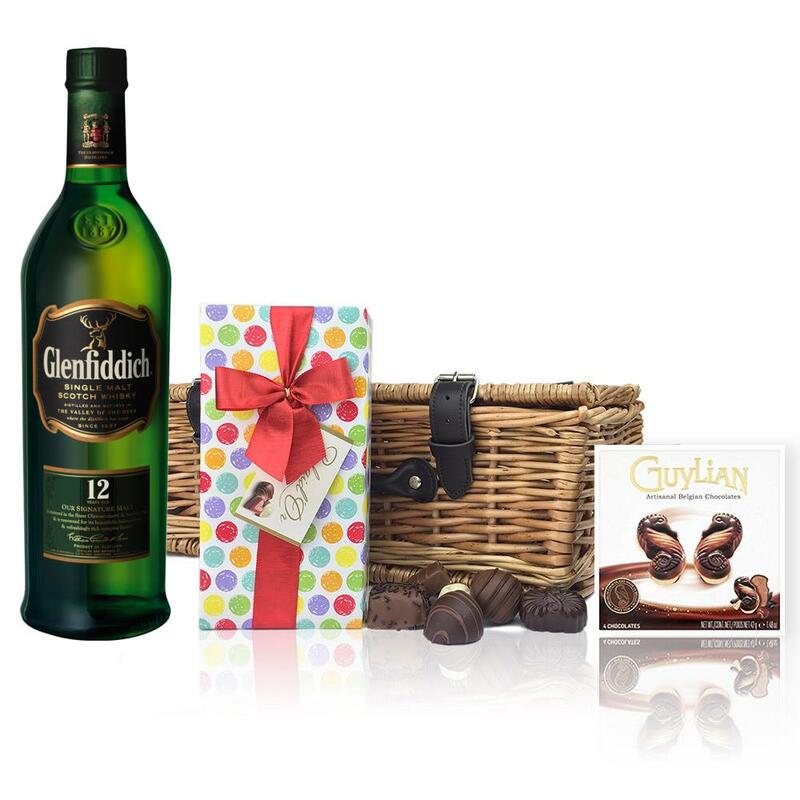 Glenfiddich 12 Year Old Speyside Single Malt Scotch Whisky One of the world's best-selling malts Glenfiddich 12yo's famous triangular bottle (70cl) is a fixture in practically every bar on the globe. A light and fruity single malt distilled and matured in Speyside. This classic Speyside from Glenfiddich was the Winner of a Gold Medal at the 2007 International Wine and Spirit Competition aged for 12 years in American and European Oak casks.